When riders are on the self control plane ride, they will feel like flying in the blue sky in a real plane. Riders have a sense of flying and feel relaxed and happy as their bodies is going up and down during rotating. 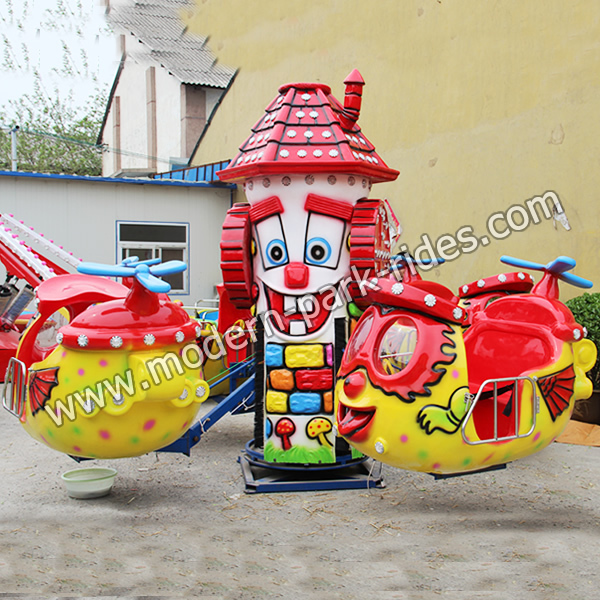 When the flat ride starts working, the airplanes will rotate around the vertical axis. At the same time, riders can press the button to make the plane go up and down, or stop at any time as they want. The self control plane ride is equipped with advanced music player and colorful LED lights. It is quite vivid, easy operation and bring endless happiness.